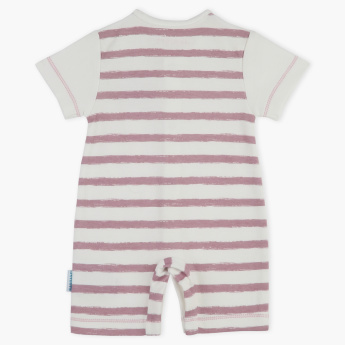 Enhanced with a print of clouds on the front and stripes at the back, this romper is quite a charming buy. Get your baby to flaunt it with a pair of mittens and booties for a look high in comfort and adore. Features : Front opening Romper for easy dressing your little baby.